You´ll encounter unique amenities and exciting itineraries on these intriguing new ship. Explore the newest ship cruising has to offer. 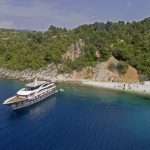 M/S Bella will be one of the newest vessels to cruise the Croatian coastline currently being built for the 2019 Season. Introducing a new ship that is poised to change the way you experience the Adriatic coastline. 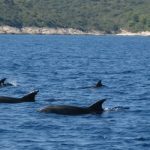 Starting from Split you will have the opportunity to see Bol, Hvar, Korčula, Dubrovnik, NP Mljet, Pučišća, Omiš and return to Split.